Rajnikanth 2.0 Dubbing: Rajini Finishes Three Reels In One Day!! Rajnikanth 2.0 Dubbing: Rajnikanth has started dubbing for his magnum opus 2.0, yesterday. 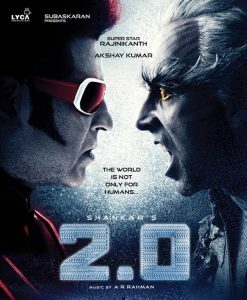 The film is featuring Rajnikanth, in double roles, one as a scientist Dr Vaseegaran and the other as a robot, named Chitti, who is programmed to protect mankind and it also feels emotions. Oscar-winning sound designer Resul Pookutty revealed the dubbing schedule on his Twitter page. “En route Chennai to start the dubbing with our very own Rajinikanth for 2.0,” Oscar-winning sound designer Resul Pookutty wrote on his Twitter page on Monday. Rajnikanth 2.0 Dubbing: The Movie will be released in Three languages!! The commitment&virtuosity our thalaivar @superstarrajini has is unparallel.Finished three reels in one day,I'm amazed at the way he works!
. @superstarrajini Finished His First Day of Dubbing For #2Point0. @resulp is Very Excited and Amazed to See His Commitment Towards Work. Akshay Kumar will be seen playing the antagonist in the film 2.0 as Dr Richard, who transforms into a bird-like creature after an experiment goes wrong. The first look was released in November, Akshay Kumar is seen with feathered eyebrows and grey hair-do. Amy Jackson, Sudhanshu Pandey and Adil Hussain are also part of the movie. The movie is being made on a heavy budget of 400 crores, directed by S. Shankar and bankrolled by Lyka Productions. Amy Jackson, Sudhanshu Pandey and Adil Hussain are also part of the movie. The movie is being made on a heavy budget of 400 crores, directed by S. Shankar and bankrolled by Lyka Productions. The film also features Sudhanshu Pandey in a negative role. Sudhanshu is Akshay’s co-star from Khiladi 420 and Singh Is Kinng. The actor plays the son of Dr Bohra, the main villain from Enthiran, played by actor Danny Denzongpa. Adil Hussain, who was last seen in Parched, is also a part of 2.0. The film is scheduled for a Diwali release. The movie will be released in three languages simultaneously, Tamil, Hindi and Telugu. 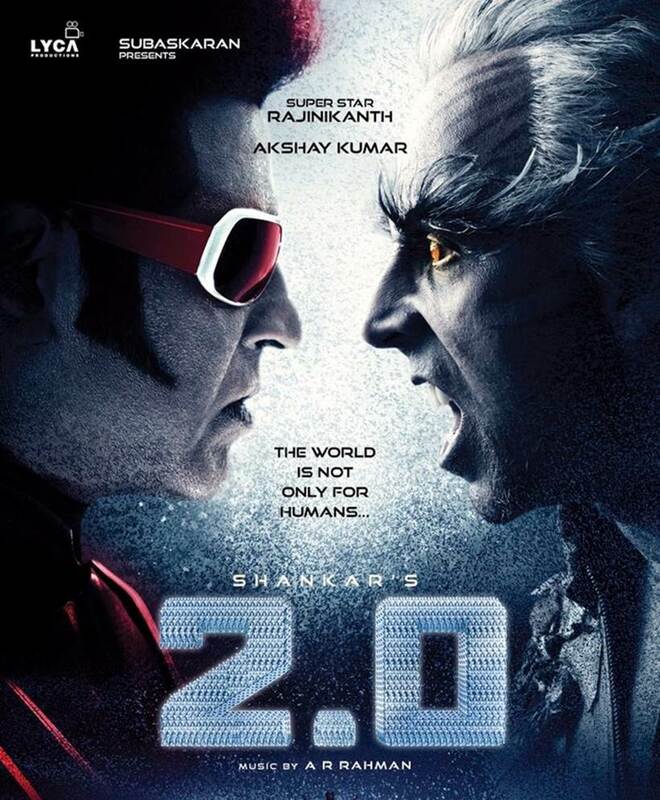 The movie is a continued flick to Rajnikanth and Aishwarya Rai Bachchan starrer, Enthiran (2010). Aishwarya played the lady love of Dr Vaseegaran and later in the movie Chitti robot also had developed feelings for her, which lead to all the destruction afterwards.